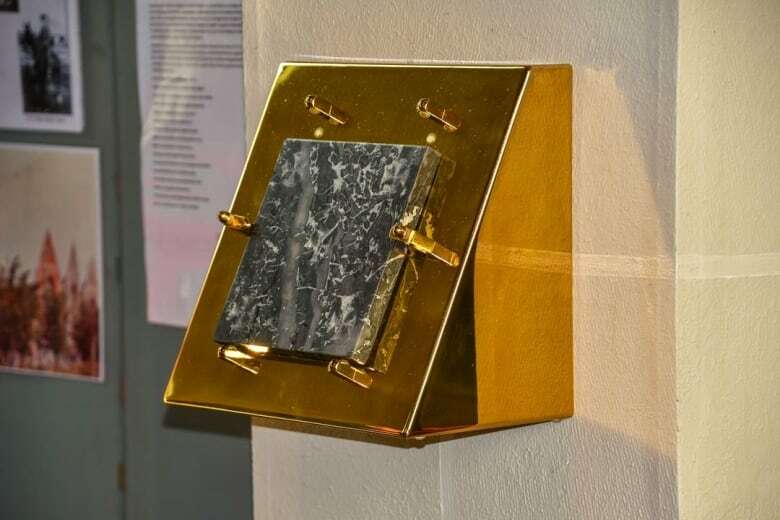 The mystery began last spring when Canon Peter Walker, rector of Grace Church on-the-Hill in Toronto, discovered a square, black marble slab that had been sitting under a lamp in his office. “So, I’m not very observant, obviously, about my office. Nor do I dust much,” he told CBC Toronto, adding it started when his secretary wanted to toss out an old lamp she thought was ugly. Walker says from the distinctive markings in the centre of the stone and on the corners he could tell it was an altar stone from the Roman Catholic church upon which the sacraments are prepared for the communion ceremony. But Grace Church on-the-Hill near Lonsdale and Spadina roads is an Anglican church. He says turning the stone over provided more clues to a deepening mystery. A quick search turned up a village in Belgium called La Neuve-Église, also known as Nieuwkerke, about 14 kilometres southwest of Ypres. This area of Flanders was the site of many First World War battles involving Canadian troops. 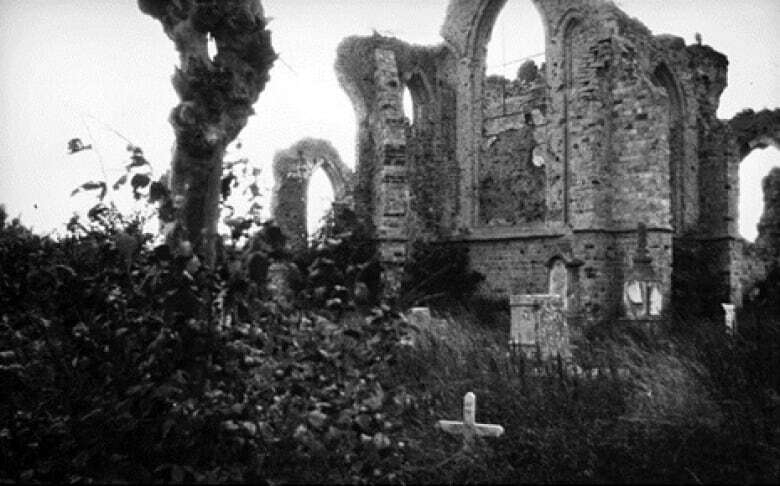 “In 1915, La Neuve-Église was shelled and its medieval church was bombed out and Canadian troops were there, but we couldn’t figure out what F.G.S. was,” he recalls. 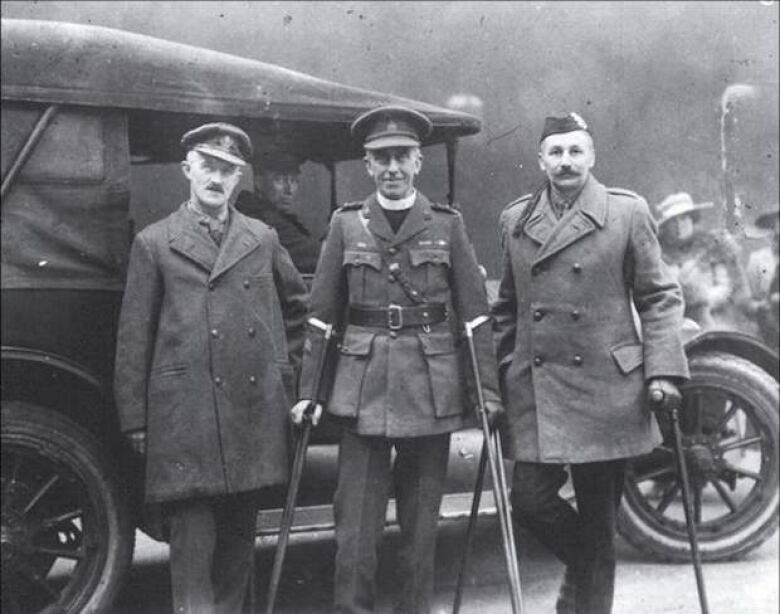 Walker says it was one of his parishioners, Roy MacLaren, a former federal cabinet minister, diplomat and historian, who immediately knew that F.G.S were the initials of Canada Forces chaplain and writer Canon Frederick George Scott. “We know from his memoir, The Great War As I Saw It, he writes about being in La Neuve-Église and the whole experience there, so, we link him with the place with the time with the artifact,” says Walker. The missing piece of the puzzle, he says, is how this altar stone brought from Belgium to Canada by Scott, who was from Montreal, ended up in an Anglican church in Toronto. Walker’s theory is that one of Scott’s sons — Rev. 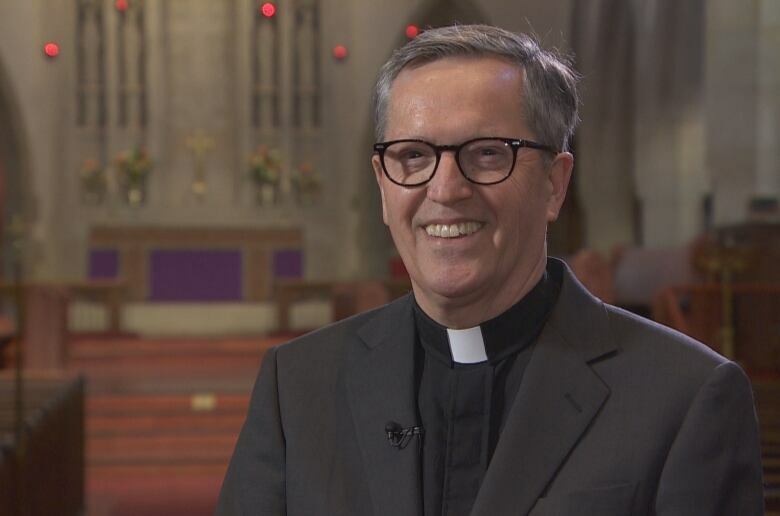 Elton Scott — who moved from Quebec to Toronto after he retired and served as a voluntary official at Grace Church, must have given it to the former rector. Grace Church on-the-Hill is one of the oldest churches in Toronto and happens to have deep ties to the First World War and the battles near La Neuve-Église. 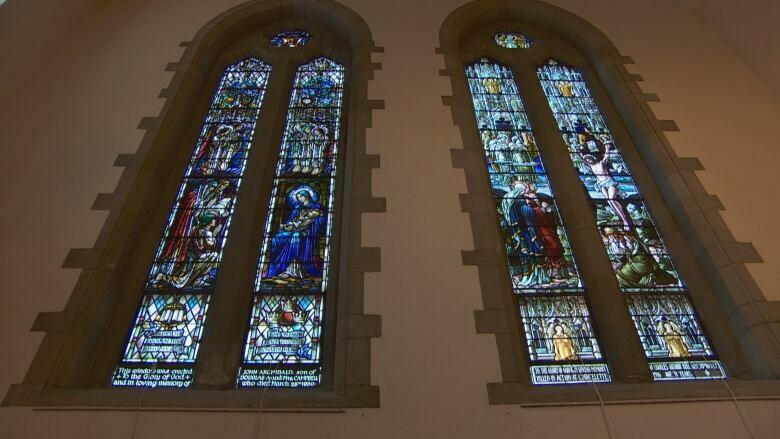 Most of the stained glass windows in the church are family tributes to the young parishioners who died in Flanders Fields. “And so it was a kind of detective story unfolding clue by clue and that was a marvellous experience of discovery, but we felt this doesn’t really belong to us, really,” he says. 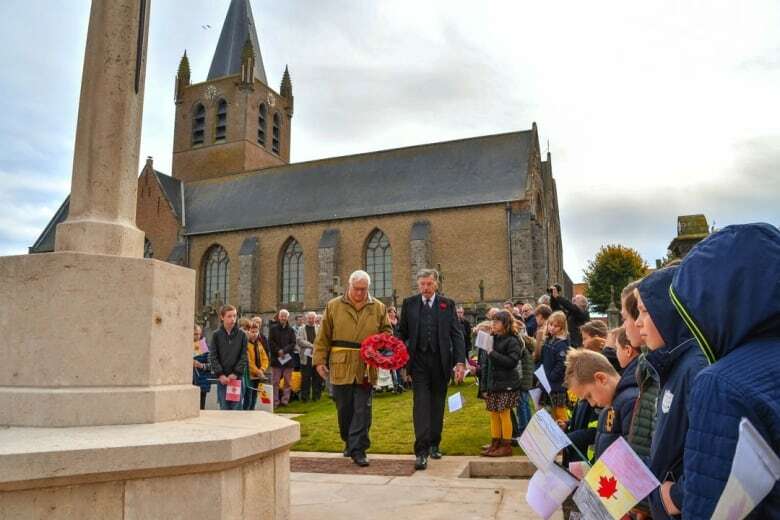 Walker reached out to the church in La Neuve-Église, which had been rebuilt in 1925, and last November, a small delegation travelled to Belgium to be part of events marking 100 years since the end of the First World War. They also travelled to La Neuve-Église to return the altar stone. Walker says the ceremony included school kids singing O Canada before the altar stone was put in a place of honour near the church’s high chapel. There is also a plaque explaining its story and how it connects Belgium to Canada. “We’ve built a relationship, an international relationship and it’s in its place of honour. It’s not hidden under a lamp,” says Walker.